One of the frequently asked questions during my Getting Going With G Suite workshop is "can I print Google Slides like I can print my PowerPoint slides?" The answer to that question is yes. In fact there are quite a few options for printing your Google Slides. 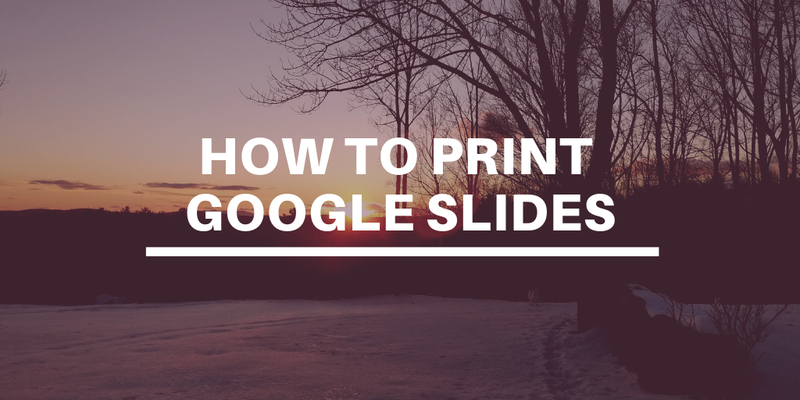 Watch my new video to learn how you can print Google Slides. Subscribe to my YouTube channel to be notified whenever I post a new tutorial video. While you're there, take a look at my Google Tutorials and Practical Ed Tech playlists. And if you're in the market for a good, inexpensive printer, I recommend this Brother laser printer. I've had one in my office for years and it has been fantastic for printing documents.